Today, the only thing advancing faster than technology innovation is consumer expectations. These rapid changes have important ramifications for retail banking providers. Which channels do people prefer for moving and managing their money? What factors influence their decisions? How are the financial needs of Millennial households evolving? While the majority of consumers prefer online or mobile banking — and those channels are far more frequently accessed for day-to-day interactions — a surprisingly high number of consumers still visit the branch. A survey from Fiserv encompassing more than 3,000 banking consumers in the U.S. supports the notion that consumers are indeed channel omnivores when it comes to retail banking. 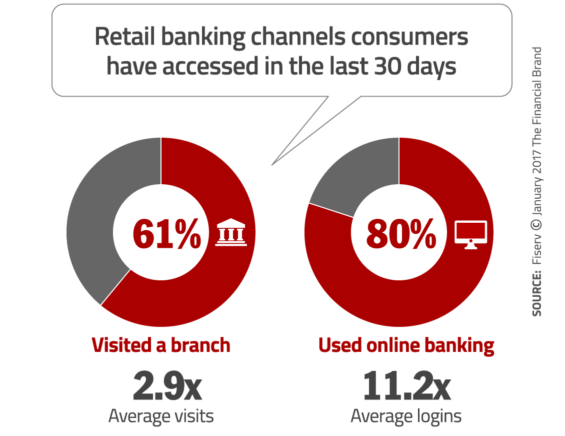 In the past 30 days, more than 80% of participants in the study said they logged in to their primary financial organization’s banking site — averaging just over 11 digital visits each. However, 61% said they visited their primary financial organization’s branch during same 30-day period. It might be tempting to dismiss the findings and assume these branch visits were triggered by consumers who were frustrated that they weren’t able to accomplish some financial task in digital channels. But that would be a mistake. 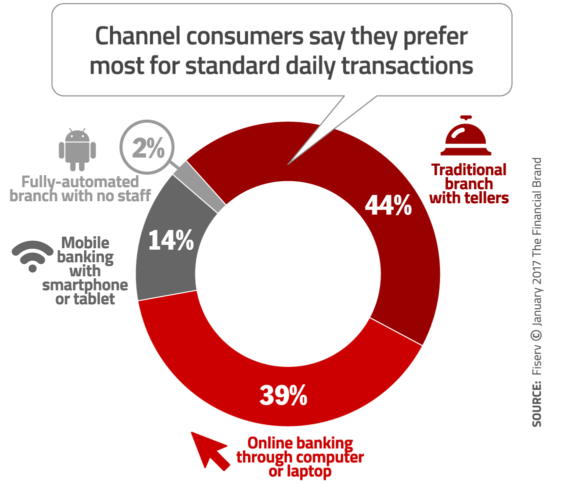 According to the study, more than half (53%) of consumers prefer online or mobile banking for standard daily transactions, but 44% said they prefer a traditional branch. That’s a preference, and it’s a pretty big number. Surely some of these people would prefer to migrate their entire life to digital channels — provided they could do what they needed to get done, and the systems were easy to use. But there would still be a significant number of consumers who actually like banking in branches. This might come as a sobering reality check for the digirati and fintech zealots in the financial industry who decry the relevance of any brick-and-mortar presence. But it’s pretty clear — according to the data in study after study after study — that (at least for the present time) branches are still a critical component in the retail delivery model. Consumers engage through both digital and traditional channels, and a mobile-only approach is going to appeal to a limited segment of consumers. It would probably be more helpful for most financial industry executives to think in terms of a “mobile-first” omni-channel strategy that preserves a role for branches. In many cases, consumers are going to branches for routine activities that could be easily accommodated in online or mobile channels. 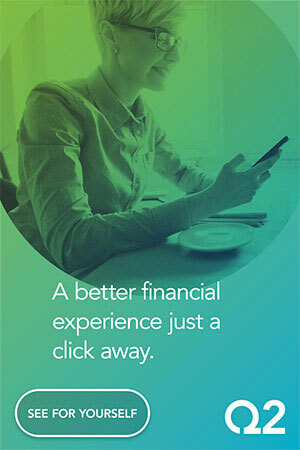 Among those in the Fiserv study who said they have visited a branch in the last month, the common reasons were to deposit checks (68%), withdraw cash (51%) or speak to representatives (22%), while online site users most commonly went online to check balances (79%), pay bills (47%) or transfer money within the same organization (41%). Key Questions: Will Millennials end up fulfilling their retail lending needs by applying for- and finalizing loans in branches — just like their parents and grandparents before them? Will the banking industry’s dream of a fully-digital, always online/mobile consumer have to wait at least one more generation? Perhaps Millennials are only comfortable using digital channels for routine transactions, leaving banks and credit unions to wait one more generation — until Gen Z comes to lending maturity — before financial consumers are finally ready to do everything in digital channels? The study also underscored the influence of mobile technology in people’s lives. On average consumers reported having 24 apps installed on their phones, with nearly one in six (15%) having 40 or more. Two out of three consumers (66%) use five or more apps daily. Despite their affinity for mobile apps, consumers have yet to fully adopt mobile wallets. Only 16% of people have used a mobile wallet — 20% for men and 12% for women. Millennials are the most common mobile wallet users, with 36% of younger Millennials (those ages 18 to 24) reporting that they use mobile wallets.